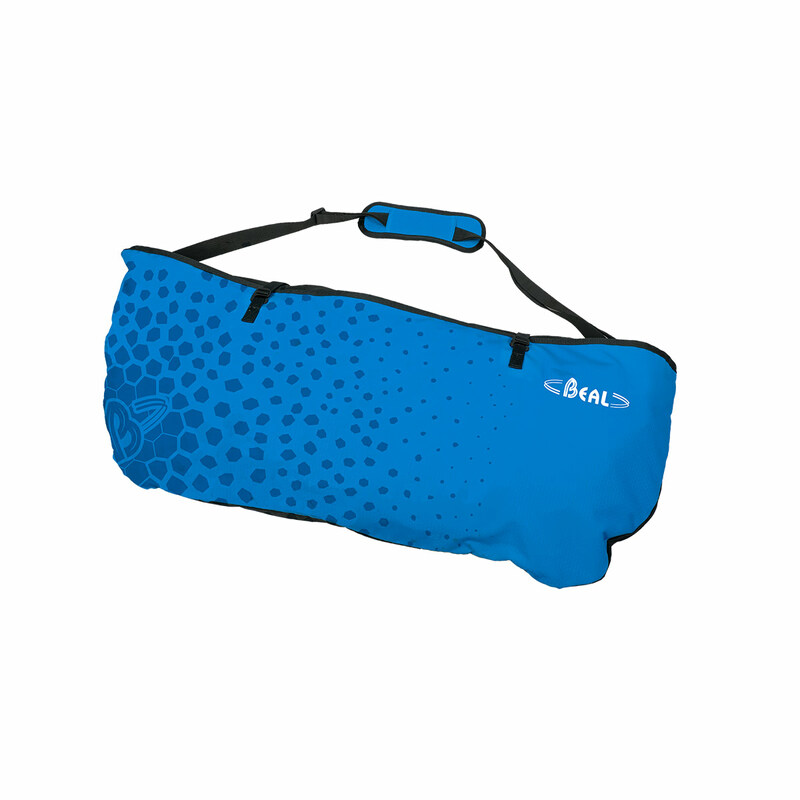 The Beal Folio is the ideal compact shoulder bag for anyone looking for a simple, functional rope bag. The tarp (85 x 110cm) can easily rolled up into a shoulder bag for easy transport between routes. This bag is spacious enough for any regular single rope. With two-corner attachment points it is designed to keep your rope neat and tangle free. The bag/tarp combo is great for those who want to carry their rope outside of the bag with other climbing essentials. The tarp is not LARGE, but since its a part of the bag, it just could not be. Its an inherent compromise of the bag design. Best price and great rope shoulder bag. The Beal Folio is a lightweight and compact rope shoulder bag. The simplicity is the most valuable, but also probably the only flaw. The bag is indeed very easy to handle but once opened, the sheet is a little bit although roomy enough for any rope especially in thin diameter. The materials are of excellent quality with very strong Cordura fabric. The shoulder strap is wide and easily adjustable with a good padding that makes the bag comfortable to carry. To highlight the presence of the two rings to tie the rope so as to prevent the formation of knots that are of different color (green and red) allowing to distinguish the head which is located beneath the skein from the one that is located above. I would definetly recomend this product.